The thighs can often retain a significant degree of fat after pregnancy, giving them a somewhat flabby appearance that traditional diet and exercise routines may not be able to improve. As part of a mommy makeover, Dr. Tom Lintner can perform a thigh lift surgery to give your thighs a smoother, more contoured, and more fit appearance. Please contact Dr. Lintner for more information on thigh lift surgery, or to schedule a consultation for a >mommy makeover. The entire office staff is professional, caring and helpful. A thigh lift is often combined with liposuction to remove excess fat deposits in addition to eliminating the appearance of loose, extra skin in the thighs. Once the excess fat and skin have been removed, Dr. Lintner will redrape the remaining skin and pull it taut, resulting in a tighter and more athletic look. Recovery from a thigh lift typically takes about two to three weeks before you are able to resume normal daily activities; however, the exact recovery time will depend on how many other procedures are involved in your mommy makeover. Thigh lift surgery can be an excellent addition to a complete mommy makeover, addressing one of the most common areas of fat retention after pregnancy and restoring the thighs to a more youthful, smooth contour. 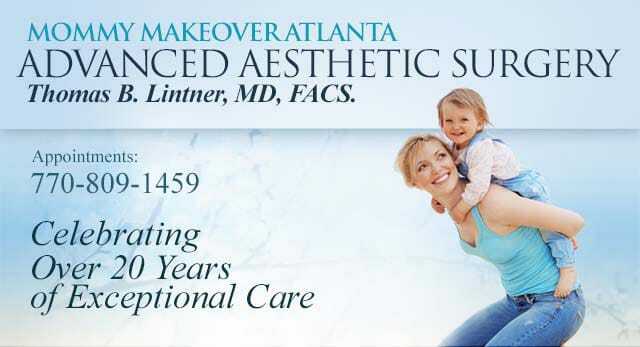 To find out more about incorporating a thigh lift into a comprehensive mommy makeover procedure, we invite you to contact our practice today to schedule your initial consultation with Dr. Lintner.